Merlene Fawdry was born and raised in Tasmania. Having strong feelings for social justice issues, she moved to Victoria to take up a career as a youth worker advocating for marginalised young people and their families. Today she is still speaks out for the oppressed, giving them voice through her writing. Following along similar lines, Merlene also gives voice in a sense to the original unfortunates, those for whom fate dealt a severe hand, when they were transported from their homelands for often trivial offences from Great Britain or Ireland (between 1803 and 1853), to the island that used to be known as Van Diemen's Land (now Tasmania). With a penchant for winkling out family history, creating a biographic account of forebears' stories, or tracing genealogical lines back to the source country, with her author's eye Merlene recreates their stories on the page, giving flesh to the bones of the ancestors. She has written The Hidden Risks, a family history. Merlene's personal story is one of disharmony and unrest, when she as a child was growing up in a dysfunctional adoptive home. In 2006, she wrote a chap book under the title My Magdalen Home, this is an account of her own time and that of other mid adolescents' - and adult women - who were deprived of their liberty for a time and who suffered the privations of a church run institution of the mid 20th century. Some would be deprived of their liberty forever. 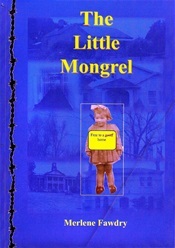 While on her return to Tasmania, Merlene completed writing her first substantial work, a memoir titled The Little Mongrel, free to a good home (2007). 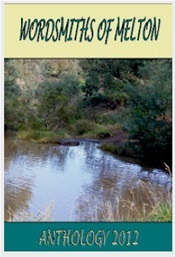 Followed in 2008 on a lighter note, when she as Writer in Residence at the Gorge Cottage, in Launceston, penned a collection of poems titled Discourse With Walls. At this time she was inspired by everything around her, from the chatter of the foot traffic on the path below the Romeo and Julietesque balcony of the cottage, to the toots and waves from those aboard the vessels plying the short free stretch of the South Esk River where it spills out from the Cataract Gorge into the Tamar basin. She also wrote In Empty Spaces, another poetry book. 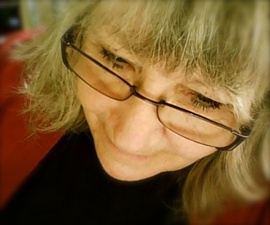 A prolific writer, among her many writing awards Merlene was the NaNoWriMo winner in 2012. 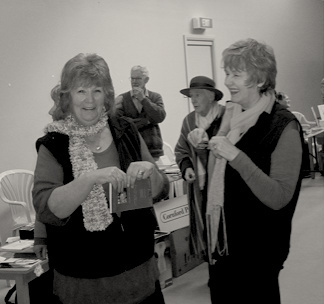 Today, working as a professional editor and proofreader and generally a mentor to new and emerging writers, Merlene is also an active participant in the Writers of Melton who in 2012 brought out Wordsmiths of Melton, an anthology of short stories and poetry. For her first major writing work, in 2007 Merlene released a memoir, The Little Mongrel, Free to a Good Home, chronicling her life growing up as an adoptee in a dysfunctional environment.The above poem opens the door to the unfolding story within. 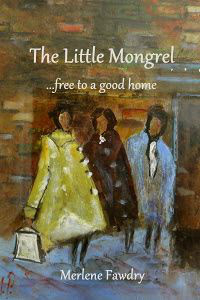 The Little Mongrel, Free to a Good Home was originally released as a paperback. 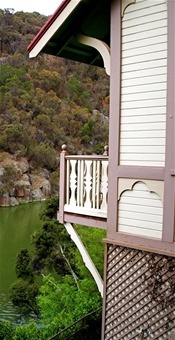 Above image: Author Merlene Fawdry discusses her poetry book, Discourse with Walls, written when Merlene was Writer in Residence at the Gorge Cottage, Launceston, Tasmania in 2008.